The Matrix Pop Top is a caravan style layout with options for outdoor living and internal bunks. Ideal for 2-4 people. The Matrix Pop Top 16ft 6’, has a narrow body width, just 1950mm wide for easy access to those remote camp spots and 4×4 tracks. Travel year round and enjoy the benefits of reduced towing height, improved air flow inside the trailer from the pop top roof and AOR’s proven off-road technology. Tare weight of 1840 kg and has a large capacity solar system and can carry up to 340 litres of water into remote camping areas. Features a standard full-size queen bed with optional twin beds and bunk areas. The internal ensuite with hot shower and marine macerator toilet system with 140 litre capacity, can also be fitted with grey water tanks plus recycled water system. The Matrix Pop Top provides all the creature comforts of home in a stylish European décor with large water storage plus the benefits of an advanced solar system. Completing this brilliant design are the two extremely versatile kitchen areas, the Matrix Pop Top has a larger awning than its full height relative, providing cover to the outside BBQ area. Standard design has a large internal kitchen featuring stainless steel sink and drain board with hot and cold mixer tap with large preparation areas, 3 burner gas stove with glass top allowing for no loss in usable bench space, 130L upright fridge / freezer. 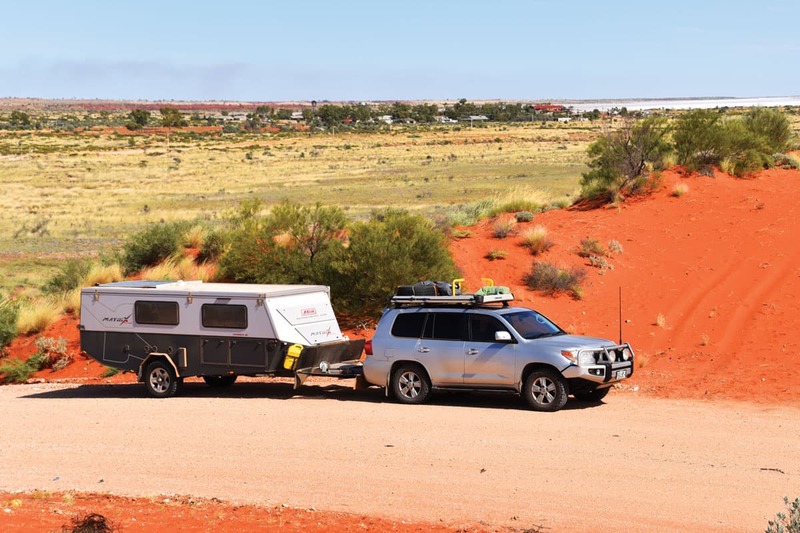 The Matrix Pop Top opens a new dimension in remote area travel, for people wanting more space and loads of options to cope with the ever-changing Australian landscape. The photos in this gallery display standard and option features of the Matrix.